In Los Angeles, it seems like everyone has either a script or a startup idea in their back pocket. However, until recently, the two rarely intersected. In an interesting demonstration of how the worlds of both media and startups are colliding, a new Los Angele startup is trying to combine both, by offering up a website and television show, DreamJobbing (www.dreamjobbing.com) centered on offering users the opportunity to compete for "dream jobs"--and eventually turning those experiences into a TV series on AXS TV. We spoke with Lisa Hennessy, one of the founders of DreamJobbing and an entertainment industry veteran, to learn more about the startup. Lisa Hennessy: The short one liner answer, is it's a robust, digital platform that broadcasts once-of-a-lifetime job openings and experience, which everyone can apply for. They simply upload a video application, which is voted on by the global community. 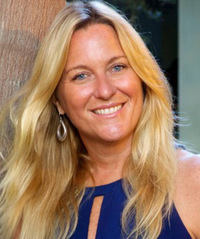 Lisa Hennessy: I come from a network television background, and my two business partners are from a digital background. Together, we wanted to build something that converged both worlds, and create something where you could get a dream job, and live an extraordinary experience. We started brainstorming about this a year ago, and just launched yesterday. It's been a year in the making. This is an interesting combination of media and online website, can you talk about the strategy there? Lisa Hennessy: It's much more than a website, it's really a platform. It's a multimedia play, which starts with the broadcasting of the dream job, which happens once a week. We broadcast a launch video, which describes the dream job, and if you want to apply, you can create your own video on why you should have the job, and use the power of social media to get that job by getting as many votes as you can. We narrow it down to the top twenty people, and then those people are interviewed by our clients. We work with brands, businesses, and tourism offices to create a once-in-a-lifetime job. The client chooses the winner, who is that person who has really hustled, really wants to have that job, has a social media following, and has a pretty big profile in the digital space. Once they land the job, they get to go out and do that job, which can be from a week to two weeks, to even a month. In some cases, it will be a full time job. We'll cover that job through our website, through Dreamjobing. We'll also aggregate media, when those people Facetime about their job blog about their job, tweet on the job, and Instagram about it--we'll aggregate all of that on the site. In some situations, we'll turn that experience into an episode of television, part of the Dreamjobbing TV series which will be on AX TV, which is Mark Cuban's network. Internationally, it will be carried by MGM International distribution. It's really a 360 degree approach and a multi-platform play, which bridges social, digital, as well as traditional media and television. How is this different than how most shows use the web and online today? Lisa Hennessy: In the past, I've launched and run some of the biggest competition and reality shows out there. That includes Rock Star, Contender, and two seasons of The Biggest Loser. In most of those situations, tthe TV show is the first thought, and online is the second. We're doing this the other way around, which we truly believe is the future. We are starting in the digital space, where we have lots of freedom to do what we want to do, and have the freedom to approach a global community of users and create a social network. We're really kind of shifting the model, taking it form an afterthought, to starting in the digital space and moving into traditional TV at the end of it. We just launched our VH1 campaign yesterday, and we think there are lots of aspects of the campaign which will live a lot longer than traditional television, rather than just putting up an online component to appease your fans. Do sites like YouTube play into your plans at all, or will all of your video stay on your site? Lisa Hennessy: We are going to build our own platform. People will be able to post their own videos there, and we have our own back end player. All of it will live on the Dreamjobbing site. We will also cross pollinate that with Facebook, where we have a DreamJobbing page. So that's our strategy right now, which is everything will live on the DreamJobbing site, with support of our Facebook page. What should we be watching from you in the next few months? Lisa Hennessy: We have a really exciting launch planned. For our first dream job, we announced a job for the VH1 Big Morning Buzz Live with Nick Lachey . That's weeklong job in New York, which will be a great opportunity for so many people. Next one is for Nitro Circus, which is all about live streaming sports evens across the world. We'll be looking for a global tour reporting for three weeks in New Zealand. That goes live next Tuesday. The next one is a producer for The Millers, the CBS comedy, and that will be in LA. The next one is for Thailand, and people who love to travel will get a chance to become a wildlife volunteer, working with Asian elephants in Thailand. After that, we are working with TOMS, where someone will get to be a Global Giver, which also takes place in Los Angeles for a week. We have many more we are lining up, and we think every week that people will tune in--using television terms--every Tuesday, like appointment viewing, because they will be excited to see the launch video and the campaign, and get to create a video and apply for the job.